Scientists have discovered that lunar dust is quite harmful to human health, which has implications for a future manned moon base. A groundbreaking new study has found that moon dust may be harmful to human beings if inhaled, which could be a major point of consideration for future manned missions to the moon. Apollo astronauts had complained of sneezing and watery eyes after bringing dust back into their ships, and now a study by researchers at Stony Brook University School of Medicine has found that this moon dust may be not only irritating, but downright harmful to the body. To come to their conclusions, scientists grew human and mouse cells in the lab and exposed them to simulated lunar dust. 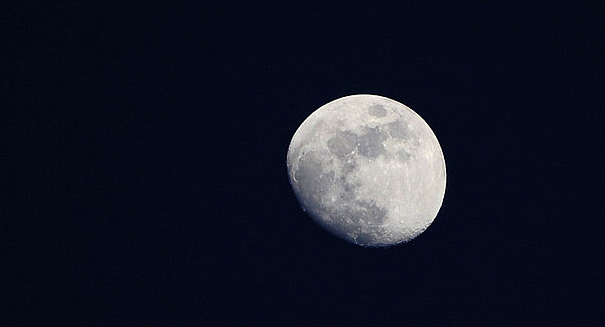 They found that the moon dust killed cells or at the very least damaged their DNA. That’s because moon dust is different from dust here on Earth, as dust on the moon has no atmosphere to protect it and is therefore extremely dry and electrostatically charged, according to a Gizmodo report. But scientists are still not quite sure why the dust is harmful. Perhaps it is because the shape of the pieces that make up the dust, perhaps it is something else. But what is clear is that there is a real long-term danger if astronauts were to set up a moon base at some point in the future.